Hardcover, 9.75 x 11.5 in. / 288 pgs / 290 color. ARTBOOK | D.A.P. 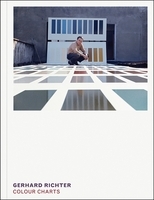 and Tate Publishing are pleased to present the definitive book on Gerhard Richter's stunning achievements. 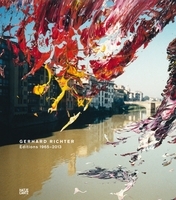 Published on the occasion of Richter's major touring exhibition in Europe, this landmark publication encompasses his entire oeuvre, now stretching across more than a half-century of activity, including photo-paintings, abstracts, landscapes and seascapes, portraits, glass and mirror works, sculptures, drawings and photographs. Edited by Nicholas Serota, Mark Godfrey. Text by Achim Borchardt-Hume, Dorothée Brill, Rachel Haidu, Christine Mehring, Camille Morineau. 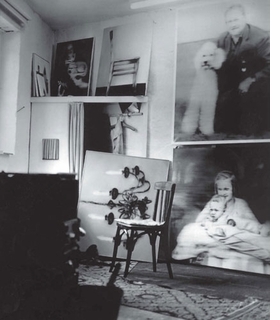 Born in Dresden, East Germany, in 1932, Gerhard Richter migrated to West Germany in 1961, settling in Düsseldorf, where he studied at the Düsseldorf Academy, and where he held his first solo exhibition in 1963. Over the course of that decade, Richter helped to liberate painting from the legacy of Socialist Realism (in Eastern Germany) and Abstract Expressionism (in Western Germany and throughout Europe). 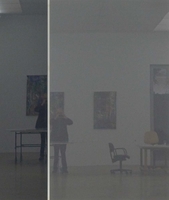 He has exhibited internationally for the last five decades, with retrospectives in New York, Paris and Düsseldorf. He lives and works in Cologne. Just in time for his 80th birthday, the illustrious German artist will see a half-century of his dizzyingly electric output shown at London's Tate Modern... If ever a show was worth traveling for, it's this one, but if you can't make it, pick up the accompanying monograph. Published on the occasion of Richter's major exhibition at the Tate, Gerhard Richter: Panorama is the first and most complete overview of one of the greatest artistic achievements of our times. Where previous monographs have focused on a single genre within the artist's vast output, this stunningly illustrated survey encompasses his entire oeuvre, now stretching across more than a half-century of activity, including photo-paintings, abstracts, landscapes and seascapes, portraits, glass and mirror works, sculptures, drawings and photographs. 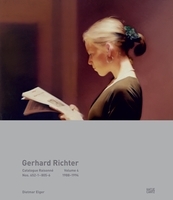 It therefore stands as the definitive portrait of Richter's colossal accomplishment to date. This exhibition catalogue- from its opening Q and A between Tate director Nicholas Serota and the laconic painter through half a dozen chronological essays- is indispensable. Since 1991 ARTBOOK | D.A.P. 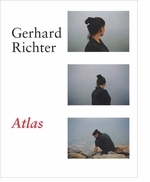 has published and distributed more than 50 titles on Gerhard Richter, from The Museum of Modern Art's Forty Years of Painting, to his seminal publication Atlas, to his critically acclaimed artist's book War Cut. 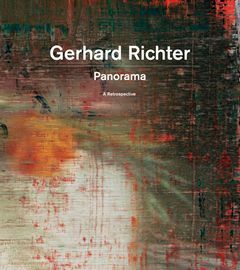 Gerhard Richter: Panorama opens October 6th, 2011 at Tate Modern, where it is one of the most highly anticipated exhibitions of the year. Attendance is expected to exceed 100,000. 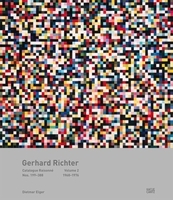 Nearly 70% of the works featured in Gerhard Richter: Panorama were not included in the artist's last major retrospective, Forty Years of Painting (2002). This includes the Elbe linocuts from 1957; several rarely reproduced or exhibited black-and-white landscapes, including "Alps II"; a magnificent triptych of Cloud paintings from the early 1970s; the monumental, 65 ft. long abstract "Stroke (on Red)," and many of his overpainted photographs. 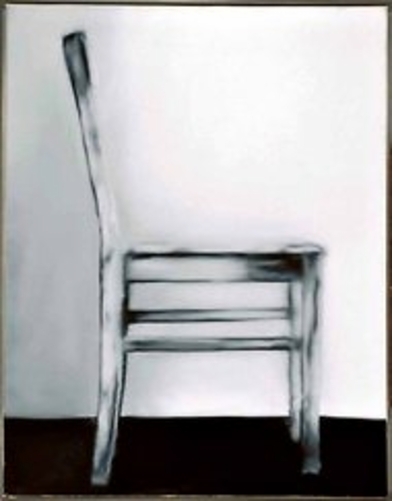 It also includes 27 very recent works made since 2002, including his series of glass constructions; the Silicate series; all six Cage Paintings; and his iconic painting "September," a powerful depiction of the terrorist attacks on the World Trade Center in New York in 2001. 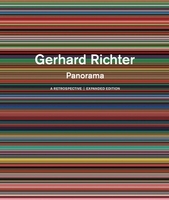 Panorama features a fascinating, never before published interview between Gerhard Richter and Nicholas Serota that was conducted in the spring of 2011. Subjects range from how Richter begins an abstract painting; why he chooses to paint his family so frequently; how he responded to claims that painting was dead; and why he decided to make a painting on the subject of 9/11. Panorama's illustrated chronology includes nearly 30 never-before-seen archival photographs. Text by Thomas Heyden, Eva Kraus, Angelika Nollert. Edited with text by Hans Ulrich Obrist. Text by Georges Didi-Huberman, Dietmar Elger, Michiko Kono, Dieter Schwarz. FORMAT: Hbk, 9.75 x 11.5 in. / 288 pgs / 290 color.